I have the coolest neighbors! Neil and Rita live across the street and have been there since their children were small. They were friends of my grandparents and I have known them my entire life. Now that we own Gran's house, they are our neighbors and I love having them right there. It's quite comforting. A few weeks ago Rita gave me this pile of flannel that she had been saving to make a quilt for Neil to use while he watches TV. She has given up sewing for the most part and thought I could use it. I wasn't overly in love with some of the plaids (they aren't my usual style) but I had a great idea. I LOVE it. I am shocked at how well the plaids that I didn't like play together and make a snuggly, manly looking flannel quilt. Reminds me of cabins in the woods and fires in the fire place and winter. I need to clip it, and then wash it, and it will be all done! Yay for quick projects! I started sewing the flannel quilt yesterday afternoon and had to stop to make dinner. While I was up from the machine the wee beast decided she'd take over. She called out to me "Mommy, I sewing". She sat there and "sewed" for at least 20 min. I think once someone is old enough Mama is going to have to find her a basic machine to use. Or maybe I'll have another machine by then and she can use this one. I can't believe this "big girl" is my baby. She's 2, and super duper independent and determined to be just like mommy. It's so so cute. I will claim them, would love to make my daddy a quilt, he would love it! That was so sweet of you, he is going to love his gift! My oldest is 6 and she's getting a Janome DC1050 for Christmas this year. She loves to sew and has made quite a few things. 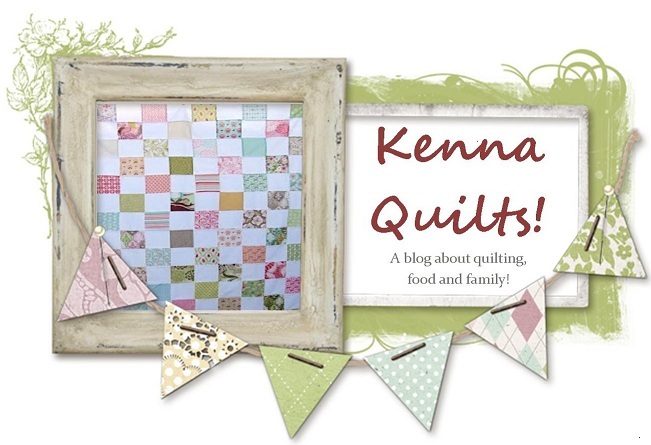 Kenna, I just got my goodie package and I know that my daddy will be getting a throw size quilt for his birthday. I think he will love it! THANK YOU!